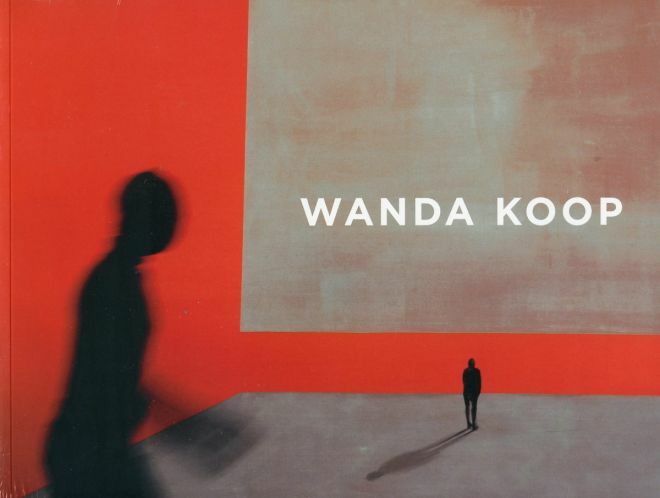 Wanda Koop is one of Canada’s renowned artists whose work has gained acclaim internationally. For me, her book tells the story of the creation of her paintings and photographs. The use of these two mediums in the book allows the viewer to catch a glimpse of Wanda Koop’s creative eye and visual imagery. 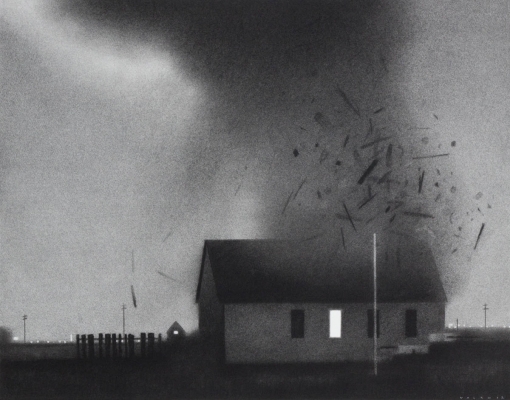 Wanda Koop’s work is displayed in The National Gallery of Canada as well as numerous private and museum collections including the Musée d’Art Contemporain de Montréal, the Reykjavik Museum in Iceland, the Shanghai Museum of Modern Art in China, the Caldic Collection in the Netherlands, as well as the Bank of Montreal, and the Royal Bank of Canada. Wanda Koop is more than just a recognized artist as she is well-known for her community work and started in Art City in Winnipeg. Art City is located in Winnipeg’s inner-city, Art City is a community arts centre that offers high quality, free-of-charge art programming to those who need or wish to express themselves creatively. Wanda Koop is also a recipient of numerous national and international honours, including in 2006 a member of the Order of Canada. Hashim Hannoon was born in Basrah, Iraq 1957 and graduated from institute of Fine Arts-Baghdad in 1979.He received his Bachelor of Sculpture/College of Fine Arts-Baghdad in 1999 and is a Member of Iraqi Artistic Forming Assembly and the Babylon Assembly of French Arts. 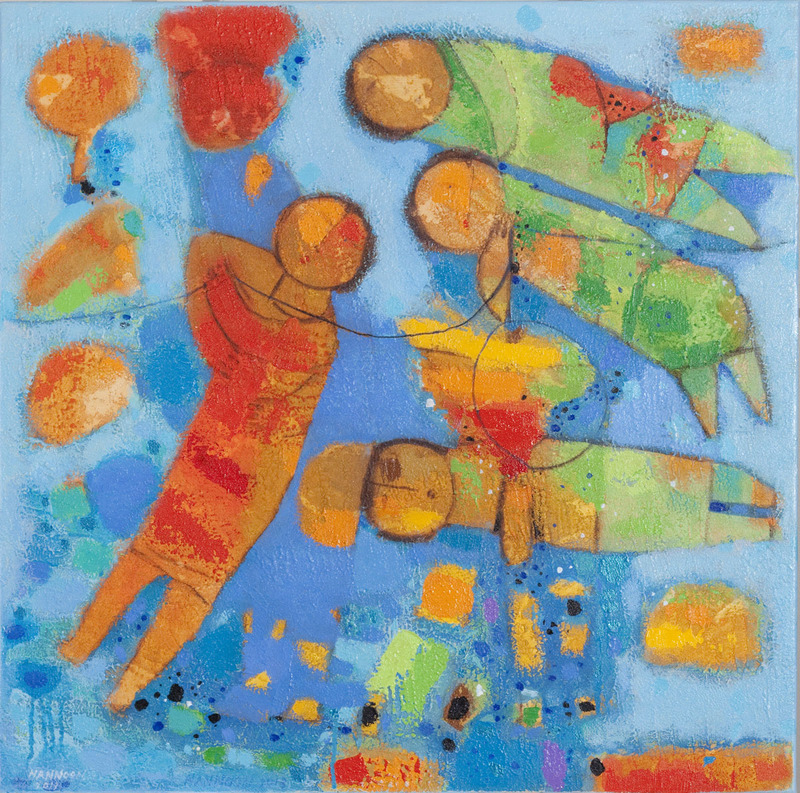 Since immigrating to Canada there has been an evolution of his works with more vibrant colours and the incorporation of people into his work. Children of the Rope 2 for me displays this evolution through the vibrant blues, greens and oranges and unique textures and melding of these colours while making the people the focal point of the piece. Like most Art Work this piece can not be truly appreciated unless viewed in person. The texture and colours come to life. Yet despite the vibrant colours and textures a thin black rope brings together what I believe is his message. The painting seems to take his past life experiences (many painful-see below) and training from Iraq to a Canadian experience to help us all realize that be it in the smaller context of our homes, communities, cities, countries or more globally we are all connected. How the ebbs and flows of each person’s life can affect everyone. At times as portrayed by the one larger person who is holding onto the rope we find ourselves as parents, community members and teachers trying to hold on to our children to keep them safe but also wanting them to reach out and experience the vibrancy of the world under our protective guidance. Now of course this is my interpretation of this magnificent piece of Art. As you look at the piece it may say something else to you and as Hashim Hannoon painted both Children of the Rope and Children of the Rope 2 this may not have been the message he wanted to convey. For me as I see a world where our children are trying so desperately trying to be connected through the many social media methods it is important that we help guide them through our ever closer global neighbours. Helping them understand that each of us are important to how colourful and vibrant our life will be. After all whether we always admit it or not we are all connected and our actions good or bad make a difference. I first met Christine Deckert when she worked as a Term Art Teacher. It was apparent very early that her creative talents were exceptional. She was able to create wonderful sketches, crafts and took many of our students to explore their own artistic sides. I saw some of her paintings online and then was able to see a couple of her other pieces at a local gallery. I was able to talk to her and she agreed to create a painting for me. The depth of her colours and the unique textures cannot be appreciated through a photograph. 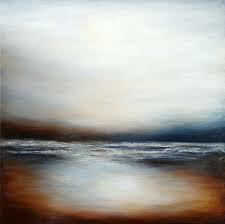 Christine Deckert was born in Winnipeg, Manitoba in 1976. She received her B.F.A from the University of Manitoba in 2000, and went on to do a B.Ed with a specialization in Art in 2003. 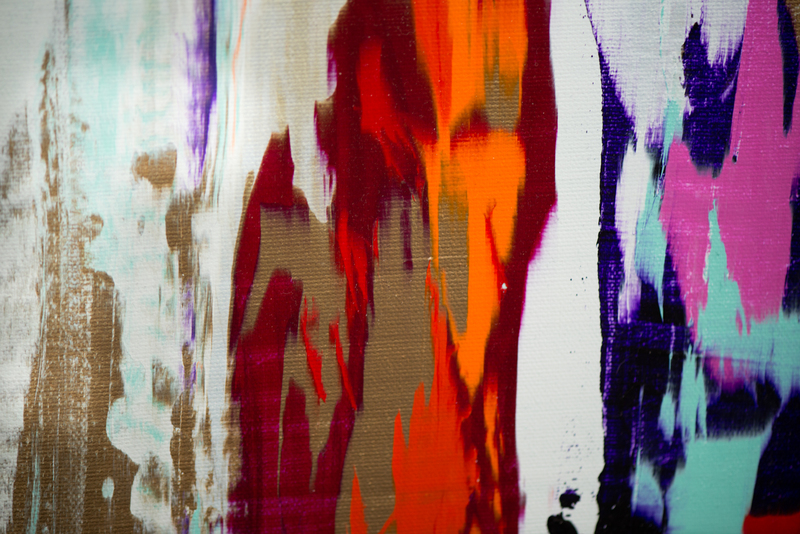 Deckert has been working as an art specialist and educator since 2005 in both private and public sectors, while establishing herself as an artist. Christine’s client base consists of designers, art lovers, collectors, restaurant owners, interior decorators. 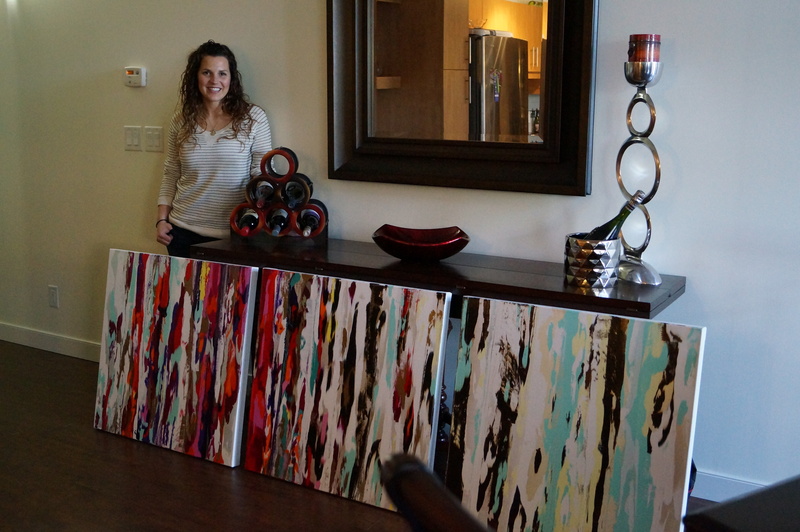 Her art has been sold locally and internationally, and been included in publications in Canada. 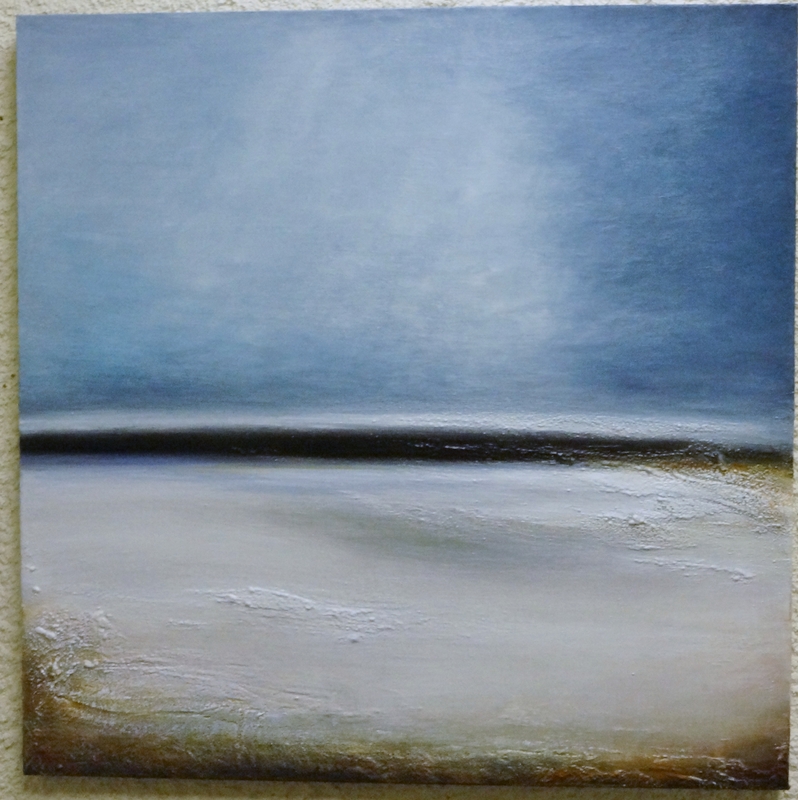 Chrisinte’s work is available though her website or at Warehouse Artwork at 222 McDermot Ave in Winnipeg, Manitoba. Born 1957 in Prague, Czechoslovakia. Came to Canada in 1968. Received his Diploma in Graphic Design and Applied Arts from the Red River Community College in Winnipeg, Manitoba. Also had the opportunity to study printmaking with Toshi Yoshida at Yoshida Hanga Academy in Tokyo, Japan. Andrew Valko is a recipient of numerous awards and commissions. These include being elected to The Royal Canadian Academy of The Arts, receiving Manitoba Arts Council grants, the commission from Canada Post Corporation to illustrate four Pan American Games stamps and the 125th Anniversary of the RCMP commemorative stamp; as well as, a design for a fifty-cent piece for the Royal Canadian Mint. Andrew Valko currently lives and works in Winnipeg, Manitoba. 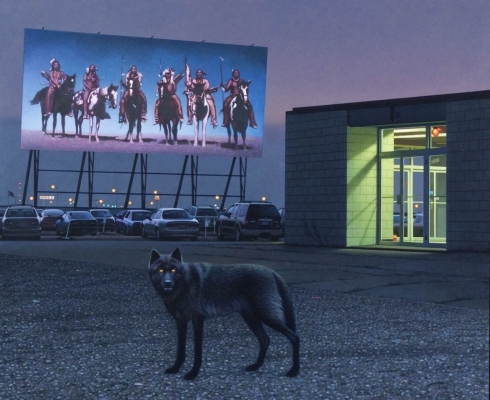 Chandra’s work has already gathered significant recognition on the national level, receiving generous attention in the media and being featured in six exhibitions across Canada over the past three years. Her greatest validation came from her art being gifted to Their Royal Highness, Prince William and Princess Kate. A piece of artwork will be at St James’s Palace and another piece will be at the Clarence House. Chandra Kremski currently lives and works in Winnipeg. 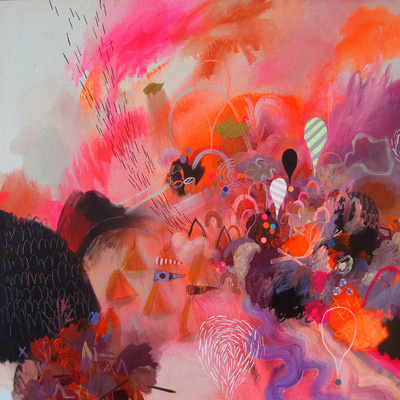 Meghan’s paintings, which she describes as “story-maps of the imagination”, are constant exercises in innovation and improvisation. With her unique vocabulary of symbols, she translates the landscape into electrifying dreamscape scenarios, each image alluding to a much larger narrative. Now residing in Powell River, BC, Canada, Meghan arrived on the Sunshine Coast by way of Whitehorse, Halifax, and Nelson. Over the last ten years, she has had over thirty solo shows, including a retrospective survey at the Yukon Arts Centre 2012. Her work has been acquired by public collections and belongs to private collections internationally. After four years of painting professionally, Kernan is on the fast track, currently represented in several Western Canadian commercial galleries. 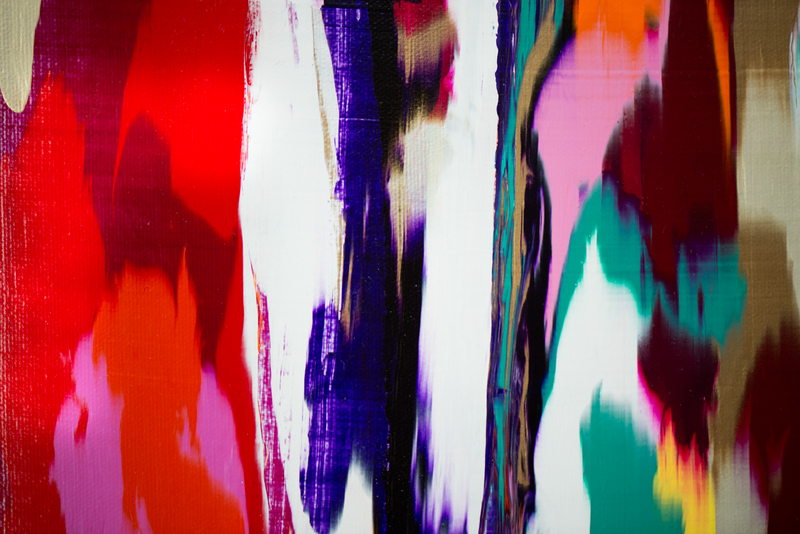 Her work is often described as intense, electric and buzzing, as the bold primary colours she uses have the impact of neon lighting. She often paints urban streetscapes, and seems fascinated with how cities come to life at night, a theme ideally suited to her palette and process. Winnipeg seems to have a lively art scene – thanks for the peek James!